Can you pitch 3 strike to win the game? A fun and challenging game for all ages. 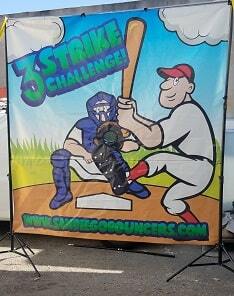 You get five pitches to strike out the batter, test your aim and strike him out for the win! Includes 5 baseballs.